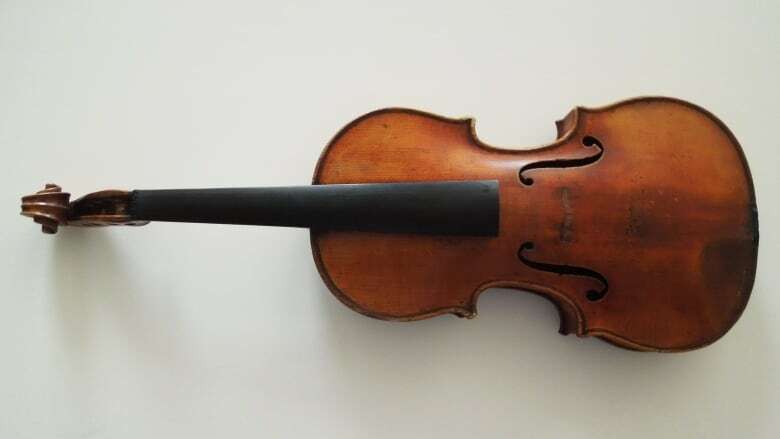 The Stradivarius stolen from the late violinist Roman Totenberg and miraculously found more than three decades later has a new life — under the chin of a budding 18-year-old virtuoso. 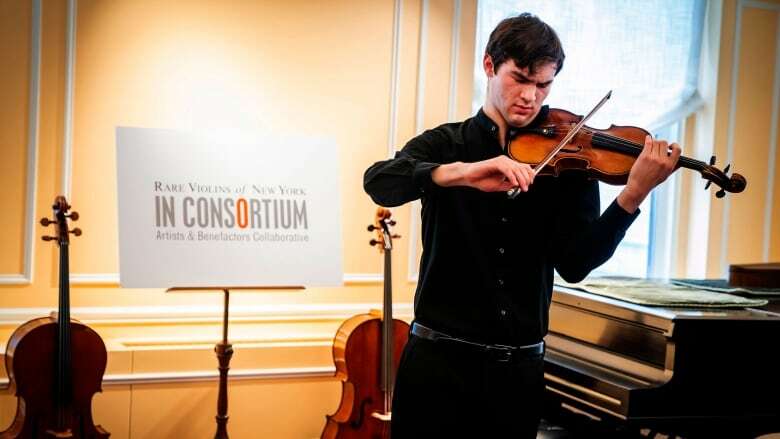 On Tuesday in New York, his three daughters presented the multimillion-dollar instrument on long-term loan to Juilliard student Nathan Meltzer. 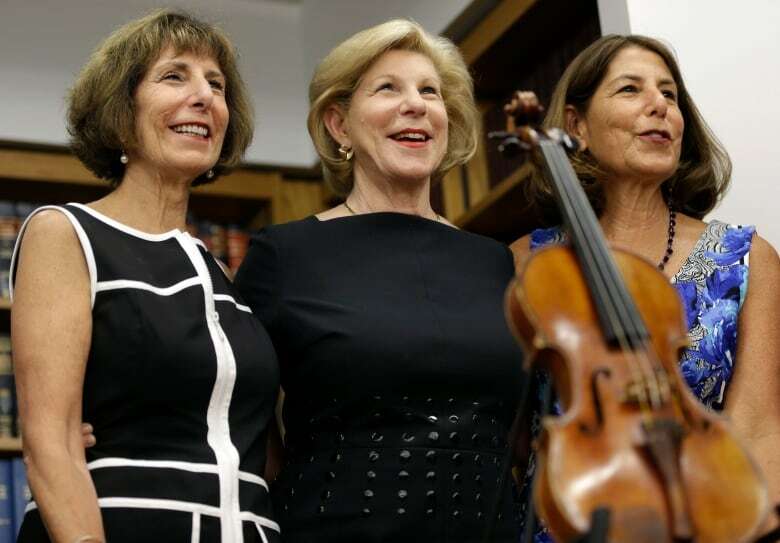 Jill Totenberg says she and her sisters, Nina and Amy, "can now go to listen to our father" — as if the Polish-born American violinist were playing again. "And once again, the beautiful, brilliant and throaty voice of that long-stilled violin will thrill audiences in concert halls around the world," says Nina Totenberg, who with her sisters joined Meltzer at Rare Violins of New York, a world-class dealer that restored Totenberg's violin after years of neglect. The 18th century instrument was snatched in 1980 from Totenberg's dressing room after a concert in Cambridge, Massachusetts. It was recovered in 2015, after his death, among a former student's belongings. The man's ex-wife discovered it and tried to sell it, not knowing it had been stolen until an expert contacted the FBI. The decades-long theft saga ended when then-U.S. Attorney Preet Bharara in Manhattan returned the instrument to the Totenberg family familiar with it since they were children. "It was there when I was born," said Nina Totenberg, the legal affairs correspondent for National Public Radio. An anonymous benefactor then purchased it and made sure the public would again hear its sound. The so-called "Ames" Stradivarius — named after a previous owner —"is one of the most fantastic examples of the late work of Antonio Stradivari; it's a large instrument, so it needs somebody who is strong yet gentle to play it," said Bruno Price, the co-founder of Rare Violins. "You need to have the strength to pull out the full sound, but you can't crush it." A strapping, 6-foot teenager, Meltzer meets those criteria, said Price, adding, "He says the violin is waking up as he plays it." Meltzer has performed around the United States and abroad, from London and Paris to Israel and Brazil. 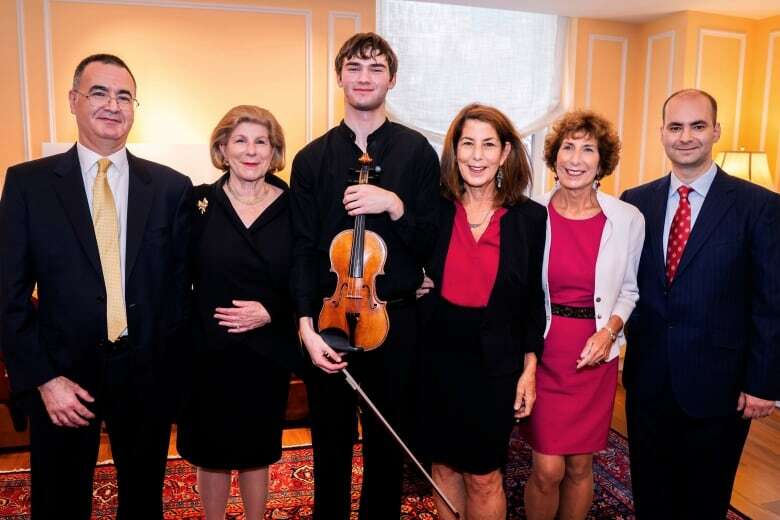 The loan to Meltzer, a student of violinist Itzhak Perlman, is part of a program created by Rare Violins of New York to match wealthy benefactors with promising young musicians.